Coldplay Collaborative Poster Project | tessa.yvonne.morrison. Here is another collaborative gig poster I did with Austin artist, Clint Wilson. 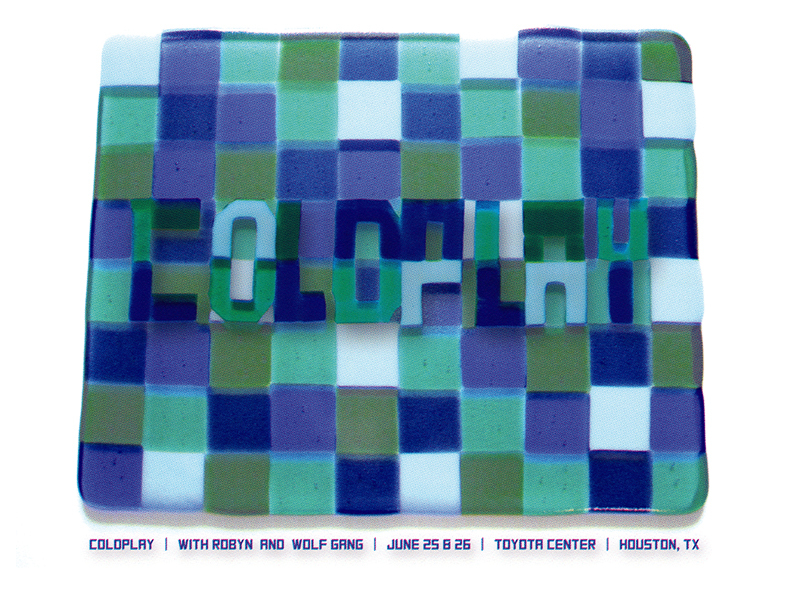 This time we did a promo poster for a Coldplay performance in Houston at the Toyota Center, complete with free tickets to the show. It was amazing! They filmed the show for an upcoming movie. Everyone got bracelets that lit up with LED lights turning the amphitheater into a concave disco ball with the audience becoming part of the performance. 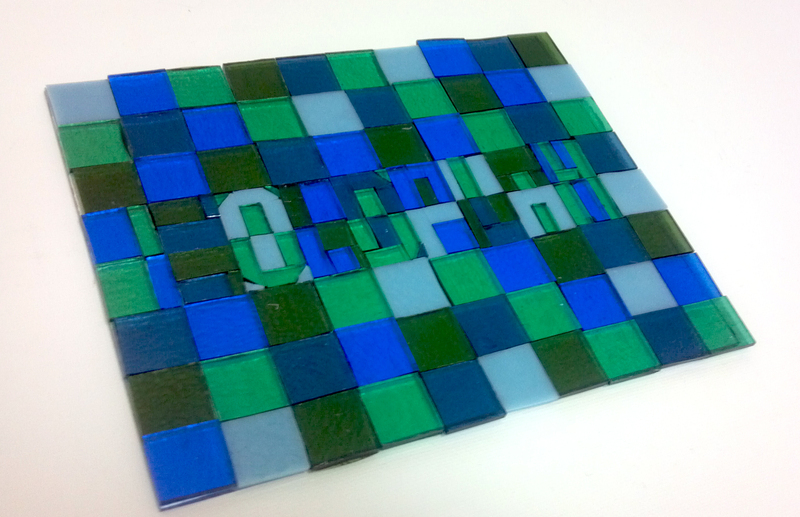 Glass tile prior to firing. Clint Wilson & Tessa Morrison. 2012. For this project the idea was for Clint and I to combine two different art techniques to create the resulting poster. So we made a fused glass piece together, took a photo, turned it into half-tone color separations, and then printed a silk-screened poster. Finished poster design. Clint Wilson & Tessa Morrison. 2012. This was my first foray with half-tone color separations, I’ve mainly done single color screen printing, and Clint had never worked with fused glass before, so it was definitely a learning experience on both ends. So overall a successful collaboration. This entry was posted in Fused Glass Art, Prints and tagged #coldplayfilm, Austin artists, Clint Wilson, Coldplay, Coldplay band, Coldplay poster, fused glass, fused glass art, gig poster, kiln-formed glass, mosaic, silkscreen, silkscreen artist, silkscreen poster, Tessa Morrison, Toyota Center, warm glass by tessa.morrison.. Bookmark the permalink.